GWATKIN, Sir WILLOUGHBY GARNONS, army officer; b. 11 Aug. 1859 in Twickenham (London), England, son of Frederick Gwatkin, a solicitor, and Louisa Isabella Stapleton; m. 23 June 1888 Edith Campbell Rowley in Hurst, Lancashire, England; d. 2 Feb. 1925 in Twickenham. Educated at Shrewsbury School, King’s College, Cambridge, and the Royal Military College, Sandhurst, Willoughby Gwatkin was commissioned in the Manchester Regiment in 1882. He served as adjutant of his battalion from 1888 to 1892, was promoted captain in 1890, and passed the Staff College, Camberley, in 1895. In March 1899, after a short period on the staff in Egypt, he went to the War Office, where he served for a time in Colonel Percy Henry Noel Lake*’s celebrated mobilization section. In 1900 he became a major. On 31 Oct. 1903 he returned to regimental service in South Africa, a vital experience for an ambitious officer. In 1905 Lake, now chief of the general staff (CGS) in Canada, summoned Gwatkin as director of operations and staff duties to develop plans and procedures for a militia that was becoming an army [see Sir Frederick William Borden*]. The following year Gwatkin brought over 250 disbanded veterans from his old regiment as volunteers for Canada’s expanding Permanent Force. He remained Lake’s right-hand man until 20 Oct. 1909. He then went back to England with the rank of colonel to serve as general staff officer, 1st grade, at Eastern Command. In the summer of 1911 Gwatkin returned to Ottawa as general staff officer, mobilization. Though he believed that war with the United States was “very remote,” he developed a plan that expanded militia strength in the vulnerable Canadian west. A European war was more likely, and Gwatkin prepared a proposal for an infantry division and a mounted brigade to serve in “a civilized country with a temperate climate.” He also pressed discreetly for an interdepartmental committee to coordinate war planning. 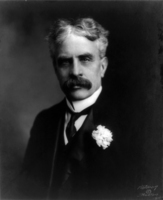 The committee, headed by Sir Joseph Pope, would barely complete Canada’s War Book by the summer of 1914. The Conservative victory in the federal election of 1911 gave Gwatkin a new political master, Colonel Samuel Hughes, a militia officer with a pronounced distaste for British officers and regular soldiers. By the summer of 1913 Gwatkin’s superior, Major-General Colin John Mackenzie, had fallen victim to Hughes. When the War Office tried to negotiate better terms for a successor, on 1 Nov. 1913 Hughes simply promoted Gwatkin. For fear of losing any rational influence in the Department of Militia and Defence, Gwatkin determined to get along with Hughes. More peremptory decisions by the minister soon followed. On the outbreak of war in August 1914, Hughes scrapped Gwatkin’s mobilization plan, summoned volunteers to Valcartier, Que., and proceeded to organize his own contingent, choosing officers, organizing units, and making all the decisions himself. Then he left for London to demand the right to command Canadians in the field. In his absence Gwatkin managed to use his plan to organize a second contingent for the Canadian Expeditionary Force. Gwatkin appealed to be allowed to rejoin the British army; the War Office promoted him major-general (26 Feb. 1916) and left him in Ottawa. By working incredible hours Gwatkin kept militia headquarters functioning. His increasingly erratic minister was a bigger strain. Could military schools be reserved for would-be CEF officers? No, declared Hughes, everyone who applied must be trained. Hughes insisted on naming colonels and creating new battalions, a procedure that brought quick results but ultimately wasted men, money, and morale. Though responsible for recruiting and training hundreds of thousands of men, Gwatkin was kept in ignorance of overseas tactics and techniques. His wisest advice was that Canada’s manpower commitments reflect the availability of volunteers – two or three divisions. 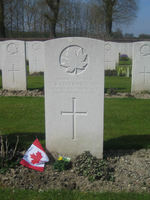 Hughes insisted that Canadians would fill six or even eight divisions. By mid 1916 an exhausted Gwatkin was close to the limit of his extraordinary stock of tact and patience. 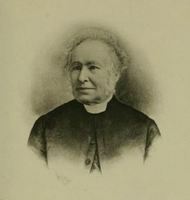 A confidant, Charles Frederick Hamilton*, believed that only the belated dismissal of Hughes prevented his resignation. Gwatkin soldiered on under Sir Albert Edward Kemp and the Unionist ministers of militia, Major-General Sydney Chilton Mewburn and Hugh Guthrie*. Having planned and managed, as best he could, the wartime expansion of the CEF, Gwatkin also had to oversee its repatriation, demobilization, and reorganization as a peacetime force. His plans, submitted in 1917, would have established a permanent army of 20,000, strong coastal garrisons, and universal military service. The British also held him responsible for the imperial operation in Siberia, where two British battalions came under Canadian command at Vladivostok. He retired as CGS in 1920 with a kcmg. During the war Gwatkin had opposed a separate Canadian air force, but his encyclopedic mind foresaw the problems and possibilities of post-war aviation. Mindful of his ideas and his weariness, and having the CEF’s leaders to employ, the government appointed him air vice-marshal and inspector-general of the Canadian Air Force. 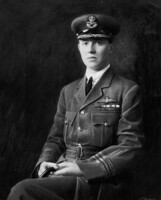 Gwatkin saw the impossibility of maintaining a real air force on a part-time “militia” basis, as the government proposed, and understood the potential of aviation as a servant of many branches of government. His prestige won the infant CAF its own ranks and uniforms. He joined Sir Arthur William Currie*, the inspector-general of the militia, Major-General James Howden MacBrien*, his successor as CGS, and Sir Eugène Fiset*, the deputy minister of militia, in successfully urging that all of Canada’s defence services be united in a single department of national defence. At the same time he fought the army to give the CAF the same independence as the post-war Royal Air Force had in Britain. As a final service to Canada, Gwatkin brought his knowledge of heraldry to the committee that designed the new Arms of Canada in 1919–20. 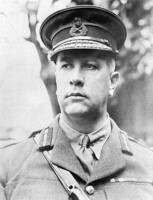 After his retirement in 1922 Gwatkin stayed on in Ottawa, intending to divide his time between Canada and England. He went back to London in the summer of 1924 when he was made colonel of his old regiment, but his friends there knew he was failing and they were not surprised that he died at St John’s Hospital in Twickenham after being admitted for sciatica. His long wartime hours of work, often while he was suffering severe stomach pains, had shortened his life. Outside Ottawa’s narrow official circles, few knew Gwatkin. Those who recalled him, as did Charles Hamilton, remembered “a man of unusual cultivation and of wide intellectual interests,” whose writing extended to Canadian ornithology, traces of the Basques in Canada, and anonymous contributions of Latin and macaronic verse to scholarly journals. Gwatkin’s judgements, sometimes brutal, often shrewd, were rendered with a rare brevity and precision. In a city of myopic politics, he saw farther than most. Erindale College, Univ. of Toronto (Mississauga, Ont. ), Desmond Morton, Canadian Expeditionary Force research files, Donald MacKinnon papers, MacKinnon to parents, 14 Oct. 1915. Gazette (Montreal), 25 March 1922. Times (London), 27 June 1888, 4 Feb. 1925. Cyclopædia of Canadian biog. (Rose and Charlesworth), vol.3. G.B., War Office, The monthly army list (London), 1900–5. C. F. Hamilton, “Lieut.-General Sir Willoughby Gwatkin: an appreciation,” Canadian Defence Quarterly (Ottawa), 2 (1924–25): 226–30. S. J. Harris, Canadian brass: the making of a professional army, 1860–1939 (Toronto, 1988). R. G. Haycock, Sam Hughes: the public career of a controversial Canadian, 1885–1916 (Waterloo, Ont., 1986). Desmond Morton, A peculiar kind of politics: Canada’s overseas ministry in the First World War (Toronto, 1982); When your number’s up: the Canadian soldier in the First World War (Toronto, 1993). Nicholson, CEF. The official history of the Royal Canadian Air Force (3v. to date, [Toronto and Ottawa], 1980– ), 2 (W. A. B. Douglas, The creation of a national air force, 1986). Desmond Morton, “GWATKIN, Sir WILLOUGHBY GARNONS,” in Dictionary of Canadian Biography, vol. 15, University of Toronto/Université Laval, 2003–, accessed April 22, 2019, http://www.biographi.ca/en/bio/gwatkin_willoughby_garnons_15E.html.